Whenever you’ve planned to go on travel, you can save your time and money with Smartphone apps. These apps will help you to get a sudden five-star hotel discount in the last moment. They even show you the fastest way to navigate. It helps you to be in touch with your family from wherever you are. Here are some of the apps that you can accomplish your needs with the best of the bunch. AirBnB, for mobile iOS and Android system, locate over 150,000 accommodation in houses and apartments at very affordable prices. Free. 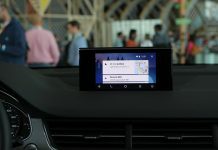 Waze, is a free browser for mobile GPS, which is chosen as the best app of 2012 at the Mobile World Congress in Barcelona. Now Waze has launched new version 3.6 with new feature that allows drivers to close on the map in real-time those streets that are blocked by obstacles, plays, parades or demonstrations and alert other drivers too. Also learns: if a driver ignores the proposed route for the browser knows a shorter or less traffic, for example, offer an alternative to the other users. The Expensify app is to calculate travel expenses and scan receipts. You can use Expensify on your Android device to log expenses, manage reports and capture receipt images on the go! Even better, SmartScan will read your receipt images, create a new expense, and fill out the expense details (or attach to an automatically imported. Note: Expensify is currently not optimized for tablets. Snapseed is a photo editing application for phones and computers quickly and intuitively. Features such as Drama, Grunge, Vintage, Retrolux or selective adjustment achieved spectacular effects. Compatible with Android, iPhone, Mac and Windows. Camera Plus is another effective editing tool. This allows us to play with the lighting and also features a filter that simulates HDR (High Dynamic Range). It is a technique that combines multiple photos of the same scene with different exposures. Holoholo is a free application for phones and tablets from Apple and Android that allows users to live stories and adventures while touring a city (currently, Madrid) for its tourist attractions. This is a game similar to a treasure hunt, based on geolocation. The participant must solve puzzles and complete challenges related to the plot in order to access the following chapters of history with the help of sculptures and paintings that come to life on the screen of your phone using augmented reality effects. Refund me, a free app for iPhone, BlackBerry or Windows mobile or Android system, calculates the compensation to which you are entitled (just have to provide the flight number and incidence) form facilitates the complaint and send it to the company.